The international space station (ISS) is 20 years old ! On 20 November, the International Space Station celebrated its 20th anniversary. It was indeed on this date in 1998 that the first module was placed in orbit. Like many space projects, the ISS will far exceed its initial life span. The first elements had been assembled for a life span of 15 years. The construction of this space superstructure has necessited the efforts of 15 nations for decades. It is at the same time a technological, scientific and diplomatic feat. 232 astronauts from 18 different nationalities stayed aboard the ISS. The scientific impacts concern many areas : weightless human body study, Earth observation, creation of protein crystals for pharmaceutical research, improvement of materials, cosmic radiation study, and many more areas. Since November 2000, the space station is permanently occupied. The ISS flies in a low orbit at about 400 kilometers altitude and about 28,000 km / h. This allows the ISS to take a tour of the Earth every 90 minutes. The international space station is regularly supplied by cargo spaceships from three continents. For the moment, only russian Soyuz spaceships are able to take a crew there. 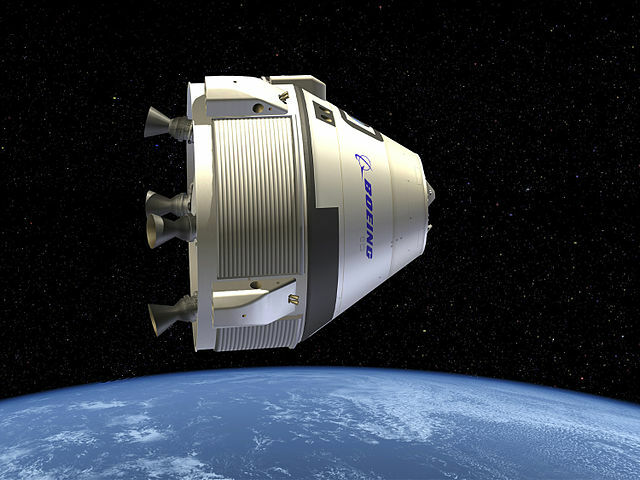 This is expected to change next year with the launch of SpaceX’s Crew Dragon and Boeing’s CST-100 Starliner. The future of the ISS, however, is uncertain, especially since the Trump administration has unveiled its wish to transfer the US responsibilities of the ISS to the private sector. This transition would be occur in 2025. It’s hard to imagine how a private actor could benefit from the space station, which was not designed for this purpose. When the Earth crosses a cloud of meteors, the ISS also crosses this cloud. The risks are still low. In 2010, an expert from NASA estimated that crossing the Perseids increases the chances of collision with a micro-meteorite of 15%. The space is very large and the international space station is comparatively small, so it would be very unlucky that a meteor impact the ISS. However, if this happens, the shielding of the modules of the international space station should stop the smallest projectiles. The larger ones can be tracked on radar and the ISS can still make course corrections if one of them is too threatening. For the moment, it works. The astronauts of the ISS have an exceptional view of these meteor showers. They can watch them burn in the atmosphere from up there. Space is a very dangerous environment for humans. The astronauts aboard the ISS were scared by the ground controllers when they announced that the space station was losing air. The incident took place on August 30th. Fortunately, the depressurization was too slow to represent an immediate danger for astronauts. NASA did not even consider it necessary to wake sleeping crew members at the time of the discovery. The present astronauts then gathered in the Russian part of the international space station to conduct the investigation. It was finally on a Soyuz capsule moored to the ISS that a hole 2 mm in diameter was discovered. A solution was found by filling the hole with epoxy. It remains now to clarify the causes of this incident. Two hypotheses are particularly mentioned. Roscosmos says it’s probably a micro-meteorite or micro-space debris impact. Space debris is a growing risk. The ISS has already been hit several times. But if this hypothesis is verified, it would be the first time that such an impact leads to a depressurization of the international space station. This makes the risk associated with micro-debris concrete. The other hypothesis is that the Soyuz capsule would have had a manufacturing defect. The crew indicated that the internal hole is similar to a drill. Around the hole, marks evoke a drill bit that would have slipped. If this hypothesis is verified, it would be a new testimony of the disastrous state in which the Russian space industry is located. Between Proton’s setbacks and the serial postponements of all the new space programs, there is not much good news from Moscow. But it would be staggering that a hole made in the drill in the wrong place could pass the quality control of a space operator. We will wait for official conclusions to know what really happened. This incident illustrates in any case how urgent it is for the new American manned capsules to come into service. If Soyuz was to remain on the ground for security reasons, the entire Earth except China would lose men’s access to space. The international space station, already shaken by the statements of the American president, does not need that. Soyouz should be supported by Crew Dragon and CST-100 Starliner next year. An unmanned test should even take place this year. The air leak was very weak. The next incident could, however, be much more serious. The proliferation of space debris in low Earth orbit will make the subject more and more difficult in the years and decades to come. If it is a human error in the design of Soyuz, then we must hope that things will quickly be corrected. The 2020s could be the decade of private space stations. 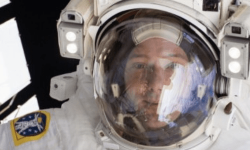 This is what the Trump Administration wants : Jim Bridenstine, NASA’s new administrator, was tasked with preparing for the privatization of the US portion of the International Space Station. For that, it is necessary that a private company accepts to take again the American functions of the ISS and that it brings its money. But it is difficult to see the international space station as a source of profits : May 17, the US space agency asked to receive studies about the commercialization of low orbit. NASA asks private firms to come up with business plans and feasibility studies for commercial space stations attached to ISS or independent. The studies selected by NASA will receive a grant of up to $ 1 million and must be submitted by the end of the year. On May 17, the Institute for Defense Analyzes (IDA), a cabinet attached to the US government, published such a study. IDA is very pessimistic about the future of private space stations. In the 2020s, NASA plans to end the financial support of the International Space Station. In 2025, the study estimates that there is almost no chance that a private space station can be profitable at that time. To reach this conclusion, IDA consultants devised several business models ranging from satellite orbit assembly to station rental for national manned programs, to fiber optics in weightlessness. In almost all cases, these activities could not generate profits. The US agency has based its study on optimistic predictions such as a 50-75% drop in the cost of rocket launches. But IDA believes that for the private sector, the outlook is so bad that it will deter all investors. The potential gains are too uncertain and too distant in the future. Faced with the pessimism of this American organization, investors in the New Space are often rich individuals with a share of dreams rather than investment funds focused on profit. The other conclusion that can be drawn is that a spatial economic boom can only take place with a drastic reduction in launch costs to motivate conventional investors. The prices will have to be divided by 10, so not yet for this generation of rockets. Such a price reduction can only be considered with a fully reusable vehicle such as SpaceX’s BFR, if it ever manages to fly. In the meantime, the American government will have to find rich and daring partners for the privatization of the ISS to be a success, or NASA may have to pay more for its astronauts’ stays in the International Space Station than when it was governed directly by NASA. The end of the financial support of the ISS in 2025 has many political opponents, including Republicans. So things can evolve by this date. On December 11, US President Donald Trump signed a directive that directs NASA’s efforts toward a return of manned flights to the moon. This inevitably raises the question of the future of US participation in the ISS. NASA’s 2019 budget should take into account a shutdown of operations related to the International Space Station by the middle of the next decade. This is quite understandable. If the American space agency’s efforts are focused on the moon, it will become too expensive to maintain an inhabited presence in orbit of the Earth. NASA’s moon projects are likely to involve the construction of a new space station called the Deep Space Gateway. This space station would replace the International Space Station, at least for Americans. But NASA has developed many partnerships with the private sector to serve the international space station. This is the case of SpaceX Dragon space capsule, the CST-100 Starliner of Boeing or the space shuttle Dream Chaser of Sierra Nevada. These spaceships would be aimless, only a few years after they were launched. It would be a big blow for the American industry of New Space. This could push the US Congress to extend its participation in the ISS until 2028 or even 2030. The idea is to give enough time to the private industry to put into orbit its own space stations, which would eventually complete the ecosystem of the private space. It is particularly Bigelow Aerospace and Axiom Space that are expected on this aspect. A transitional period could take place during which private modules would be added to the ISS. Bigelow, for example, already has its Bigelow Expandable Activity Module (BEAM) docked at the international space station since 2016. 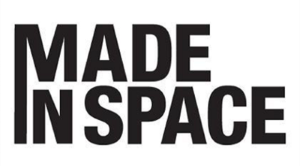 For its part, Axiom Space should start building its modules next year. The company hopes to launch the first private space station in the next decade. Although there is still little detail on NASA’s moon projects, this should leave more or less room for private industry. New opportunities and new partnerships should be built to support the lunar effort. The end of the ISS will also have to be a coordinated effort with international partners. But we are not immune to a change of government in the United States of America in 2020, which would again change the US space strategy. Beginning this year, SpaceX’s Crew Dragon and Boeing’s CST-100 Starliner capsules are expected to begin bringing crews to the ISS. It is hoped that they will have new destinations after the shutdown of the International Space Station.